New York – Today members of the Interfaith Center on Corporate Responsibility, a faith-based shareholder coalition that has long advocated for health care reform, celebrate the Supreme Court’s decision to uphold the constitutionality of the major provisions of the Patient Protection and Affordable Care Act (ACA) first enacted in March of 2010. The investors, many representing hospital systems and health care organizations, have been actively engaging companies in the health care industry for over 20 years to promote greater equality, access and affordability of health care services for our nation’s citizens. 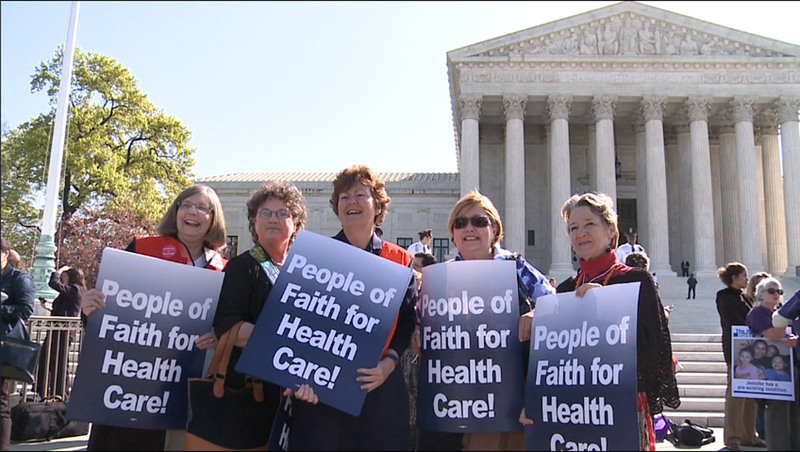 “As stated in our Principles for Domestic Health Care, first published in 2008 in support of this historic legislation, ‘We regard health care and the right to security during sickness as an immutable human right.’ In upholding ACA today, the Supreme Court upholds the human rights of millions and sets us firmly on a course to work towards an improved system that benefits all Americans,” said Laura Berry, Executive Director of ICCR. About the Interfaith Center on Corporate Responsibility (ICCR): Currently celebrating its 41st year, ICCR is the pioneer coalition of active shareholders who view the management of their investments as a catalyst for change. Its 300 member organizations with over $100 billion in AUM have an enduring record of corporate engagement that has demonstrated influence on policies promoting justice and sustainability in the world.